Heeding the Sign: Live from the Bronx Zoo! It was one of those early spring days in Ternei; too cold to comfortably sit outside. But it had been a long winter and we were determined to enjoy the above-zero temperatures. With sweaters and jackets covering our hunched shoulders and knit caps obscuring our heads, a dozen of us huddled around platters of smoked salmon, barbequed meat, and vegetables to celebrate winter’s passing. Moonshine added warmth for those who wanted it. We sat at a table outside the Wildlife Conservation Society’s research center; the tallest building on the tallest hill in town. On a clear day one has a sprawling view from here of the Serebryanka River valley, the village, and the Sea of Japan. But today, dense wisps of fog streamed past like apparitions as we sat, ate, and drank. The fog was all-encompassing and intimate. It felt as though we were gathered on a small island; an illusion broken by the incessant bays of unseen village dogs, the crisp strikes of someone chopping wood in the distance, and the occasional rumble of a diesel engine somewhere in town below. 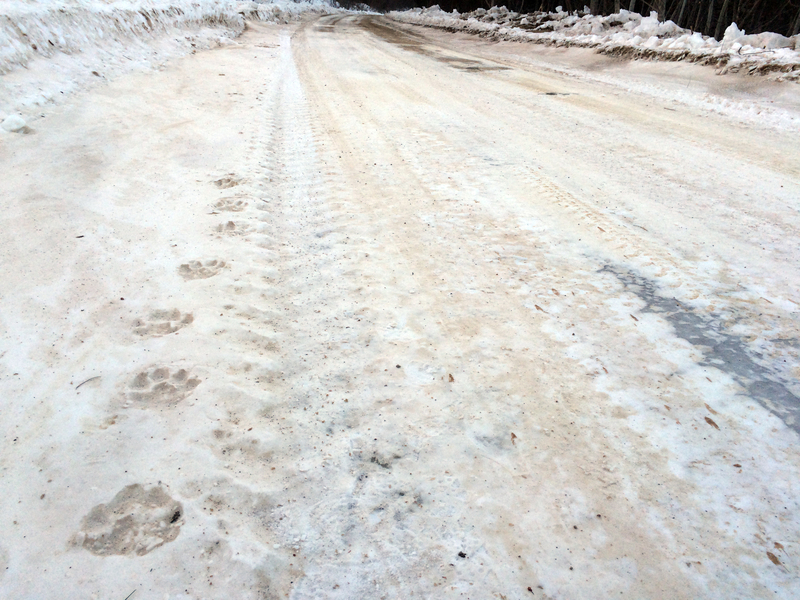 One of my companions at the table started telling a story—something about a road trip across the Sikhote-Alin divide toward the Amur River basin—and almost as an afterthought mentioned seeing a tiger dart across the dirt road along the way. The storyteller paused and looked at us, saying “you know when a tiger crosses in front of your truck; how it turns and hides in the shrubs a few meters off to watch you pass?” The table was a round of silent nods. “Well, this one just took off running. It was weird.” Then, the man continued his story about the drive west. What a place the Russian Far East is, I thought then on that island in fog, where a tiger sighting is a mere aside in an otherwise mundane account of a weekend drive. And what a wonderful corner of the world, where people start their sentences earnestly with “you know when a tiger…?” and everyone at the table nods yes, they do. May it always be this way. Another well-written piece with a nice human touch to it all. I meant to mention that the link in this email goes to a ‘page not found’ on your site. I don’t remember if I mentioned this previously. If it was never fixed, you could just do a new send-out of the piece.